There's a lot of companies you could buy oil from. With AMSOIL, you are buying from the absolute best there is in the world. And those facts can be backed up with ASTM testing with our oils and all of our competitors. 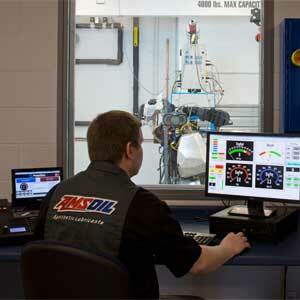 AMSOIL was the very first company in the history of the U.S. to come out with an API-certified oil. AMSOIL was the very first company to introduce a 1-year/25,000 mile oil. AMSOIL was the very first company to come out with a 1:100 pre-mix 2-cycle oil. AMSOIL was the very first company to come out with a fully synthetic gear lube for automotive use. AMSOIL was the very first company to come out with fully synthetic diesel oil. When an oil specification comes out for a vehicle, our competitors go to the raw chemical companies and ask, "What is the cheapest way we can meet this specification." When AMSOIL goes to these same companies, we ask, "What do we have to do to EXCEED those specifications." The standards provide guidance and tools for companies and organizations who want to ensure that their products and services consistently meet customer’s requirements, and that quality is consistently improved. Demonstrating a commitment to managing your environmental impact wins greater stakeholder and customer trust, giving you the confidence to plan ahead rather than react to whatever the future brings. AMSOIL President and CEO Al Amatuzio founded his company on the same principles that defined his career as a jet fighter squadron commander – excellence, integrity and strong leadership. In 1972, the breakthrough came. AMSOIL 10W-40 Synthetic Motor Oil, the result of years of research and inspired by aerospace technology, became the first synthetic motor oil in the world to meet American Petroleum Institute service requirements. 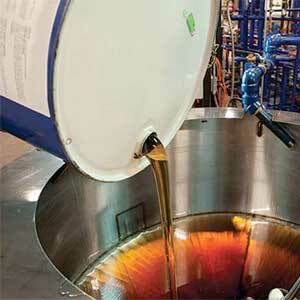 It outperformed conventional oils on all counts, signaling a new age in lubrication science. Today, virtually every other motor oil manufacturer has recognized the superiority of synthetic lubricants and followed the AMSOIL lead with introductions of synthetic motor oils of their own. Accept no substitutes – AMSOIL is The First in Synthetics®.